The Final Nail in the Keynesian Coffin? I wrote earlier this year about the “perplexing durability” of Keynesian economics. And I didn’t mince words. Keynesian economics is a failure. It didn’t work for Hoover and Roosevelt in the 1930s. It didn’t work for Japan in the 1990s. And it didn’t work for Bush or Obama in recent years. No matter where’s it’s been tried, it’s been a flop. So why, whenever there’s a downturn, do politicians resuscitate the idea that bigger government will “stimulate” the economy? And I specifically challenged Keynesians in 2013 to explain why automatic budget cuts were supposedly a bad idea given that the American economy expanded when the burden of government spending shrank during the Reagan and Clinton years. I also issued that same challenge one day earlier, asking Keynesians to justify their opposition to sequestration given that Canada’s economy prospered in the 1990s when government spending was curtailed. It seems that the evidence against Keynesianism is so strong that only a fool, a politician, or a college professor could still cling to the notion that bigger government leads to more growth. Fortunately, it does appear that there’s a growing consensus against this free-lunch theory. Professor John Cochrane of the University of Chicago (and also an Adjunct Scholar at Cato) has a superb column about the retreat of Keynesianism in today’s Wall Street Journal. The tide also changed in economic ideas. The brief resurgence of traditional Keynesian ideas is washing away from the world of economic policy. …Why? In part, because even in economics, you can’t be wrong too many times in a row. …Our first big stimulus fell flat, leaving Keynesians to argue that the recession would have been worse otherwise. George Washington’s doctors probably argued that if they hadn’t bled him, he would have died faster. With the 2013 sequester, Keynesians warned that reduced spending and the end of 99-week unemployment benefits would drive the economy back to recession. Instead, unemployment came down faster than expected, and growth returned, albeit modestly. The story is similar in the U.K.
All of this is spot on. 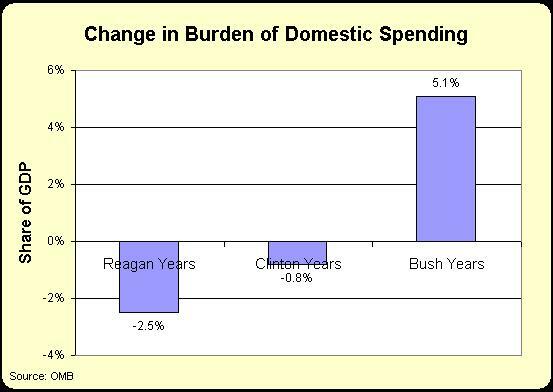 Once the stimulus was replaced by spending restraint, the economy did better. And job creation picked up when subsidies for unemployment were limited, just as more sensible economists predicted. Cochrane is also correct about the spending restraint in the United Kingdom. I didn’t expect Cameron and Osbourne to deliver some good fiscal policy, but it’s happening and the British economy is the envy of most other European nations. The column also looks at past Keynesian failures. These are only the latest failures. Keynesians forecast depression with the end of World War II spending. The U.S. got a boom. The Phillips curve failed to understand inflation in the 1970s and its quick end in the 1980s, and disappeared in our recession as unemployment soared with steady inflation. But this isn’t just about empirical evidence. I’ve used humor to debunk Keynesianism. Professor Cochrane takes a more high-brow approach to show why the theory doesn’t make sense. Hurricanes are good, rising oil prices are good, and ATMs are bad, we were advised: Destroying capital, lower productivity and costly oil will raise inflation and occasion government spending, which will stimulate output. Though Japan’s tsunami and oil shock gave it neither inflation nor stimulus, worriers are warning that the current oil price decline, a boon in the past, will kick off the dreaded deflationary spiral this time. I suspect policy makers heard this, and said to themselves “That’s how you think the world works? Really?” And stopped listening to such policy advice. …in Keynesian models, government spending stimulates even if totally wasted. Pay people to dig ditches and fill them up again. By Keynesian logic, fraud is good; thieves have notoriously high marginal propensities to consume. By the way, just in case you think he’s exaggerating, keep in mind that Paul Krugman actually argued that a fake invasion from outer space would “stimulate” growth because the world would waste money building defenses against E.T. And Krugman also argued that the 9-11 terrorist attacks were pro-growth! Cochrane closes with some optimistic thoughts. …no government in the foreseeable future is going to enact punitive wealth taxes. Europe’s first stab at “austerity” tried big taxes on the wealthy, meaning on those likely to invest, start businesses or hire people. Burned once, Europe is moving in the opposite direction. Magical thinking—that, contrary to centuries of experience, massive taxation and government control of incomes will lead to growth, prosperity and social peace—is moving back to the salons. …the policy world has abandoned the notion that we can solve our problems with blowout borrowing, wasted spending, inflation, default and high taxes. The policy world is facing the tough tradeoffs that centuries of experience have taught us, not wishing them away. I wish I was equally optimistic about the death of Keynesianism. As I glumly stated a few years ago, Keynesian economics is like a Freddy Krueger move, inevitably rising from the dead when politicians want to rationalize wasting money on favored interest groups. But I hope Cochrane is right and I’m wrong. For further information, here’s my video on Keynesian economics. P.S. Since it’s the holiday season and I’m sharing videos, here’s a very clever and funny video about Keynesian Christmas carols. The songs in the second half of the video are the ones that make sense, of course, and I particularly like the point that consumer spending is a reflection of growth, not a driver of growth. P.P.S. If you want even more visual content, here’s the famous video showing the Keynes v. Hayek rap contest, followed by the equally entertaining sequel, which features a boxing match between Keynes and Hayek. P.P.P.S. 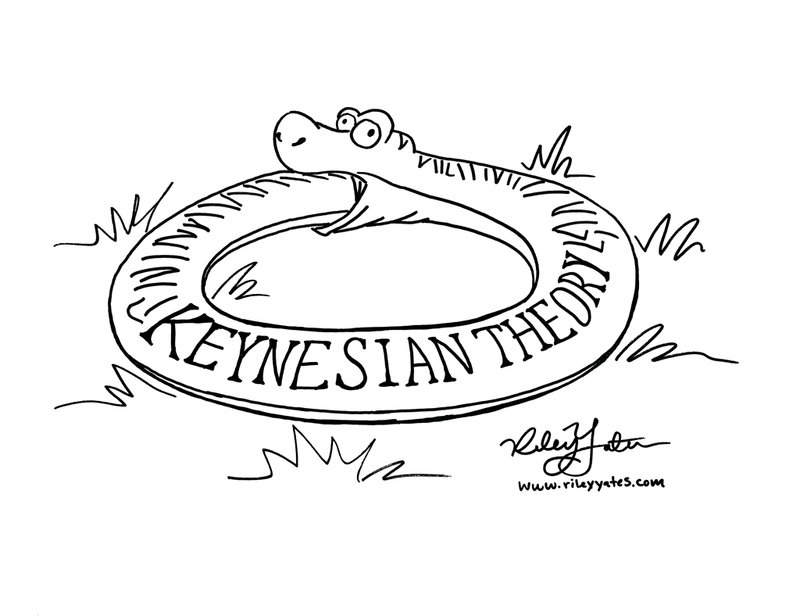 But if you want more humor about Keynesian economics, click here, here, here, and here. P.P.P.P.S. Let’s end on a serious note. It’s encouraging that leaders from nations at opposite ends of Europe are acknowledging the shortcomings of Keynesianism. One can only hope. Although, to be fair, Keynes himself would probably criticize the way his acolytes apply his theories. Keynesianism is a vehicle for coercive redistribution from a thrifty saving minority to a spending (and voting) majority. Hence it will never die. Couple that with the fact that it gives people a feeling of coercive collective control over the entire economic activity of this nation through more power bestowed on the elected politico-economic class, and you will see why Keynesianism lives on – and keeps getting repackaged and resold as the pixie dust of economics. Keynesianism has suppressed the risk/reward curve for safer investments down to zero. The reward for delayed gratification (and thus capital formation) has thus been almost expunged. This has also dragged the entire risk/reward curve for all types of investments. And this is an intergenerational lesson against saving which will have a lasting and detrimental impact. Naturally, because exactly Keynesianism is so predictable (you know what your Keynesian economic masters will do under what circumstances) those more intelligent amongst us have found ways to exploit this predictability, to the disadvantage of those who either do not know or cannot react to the predictable Keynesian mandates. This is, for example, why we withdrew some from our more productive jobs and bought up a bunch of houses when the predictable Keynesian reaction to the financial crisis gave us cheap money harvested from the purged returns of small ordinary savers. And now, we can even resell these houses to small ordinary savers at a higher price. So, indeed, go on people… hate us even more…And don’t forget! More Keynesianism! And more power to your politicians to implement your desire to collective control of most economic activity in your nation. The lemmings get what they deserve. And almost everyone gets structurally lower long term compound growth, growth that cannot match the world average … and thus structural loss of American exceptionalism and decline continues. But it’s hard to be sorry when it is the fault of people themselves and people give you Keynesianism to take advantage of them in the first place. I’m sad that the lemmings of this once exceptional and different nation want to commit suicide by adopting the coercive collectivism that seems so endemic in the rest of the world. But beyond some lecturing over the underappreciated structural reasons for your success, in practical terms, dear Americans, if you want to commit suicide, I have to get in the poison business to protect my own family from your foolishness, after all. P.S. You think lack of demand, rather than supply, is the problem? Read your kid’s Christmas list.